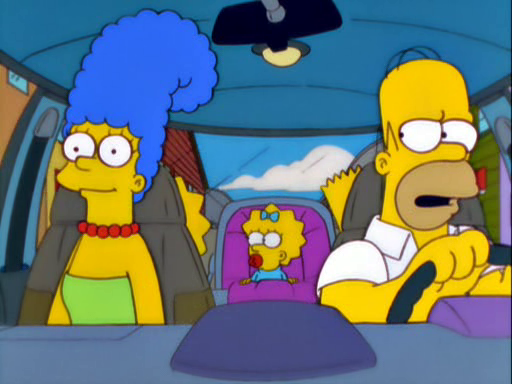 They put Homer and Marge into an electric car only for them to go to Hollywood and meet Mel Gibson. Fuckers. Why didn’t anyone bother to ACTUALLY WRITE?! ?